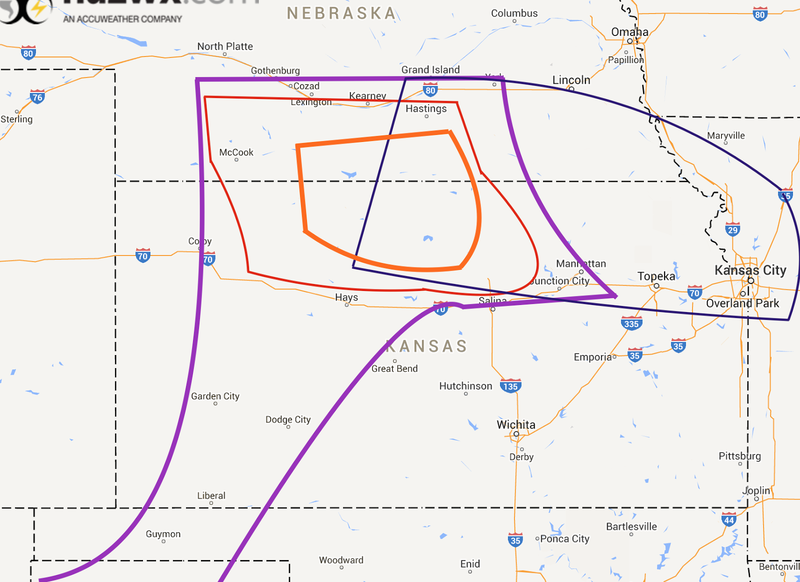 If you live within the purple lines, large hail and damaging winds are possible with any thunderstorms, especially over southwest Kansas into the Texas Panhandle. The red area in northern Kansas is at risk of tornadoes. 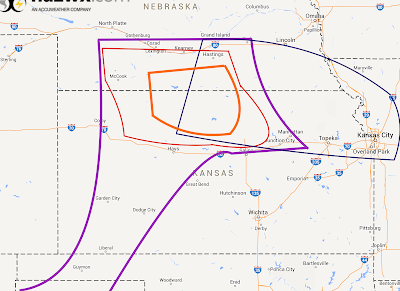 The area in orange has the risk of violent tornadoes if supercell thunderstorms can develop. I know the public hates reading that but this is one of those "all or nothing evenings" in that area. 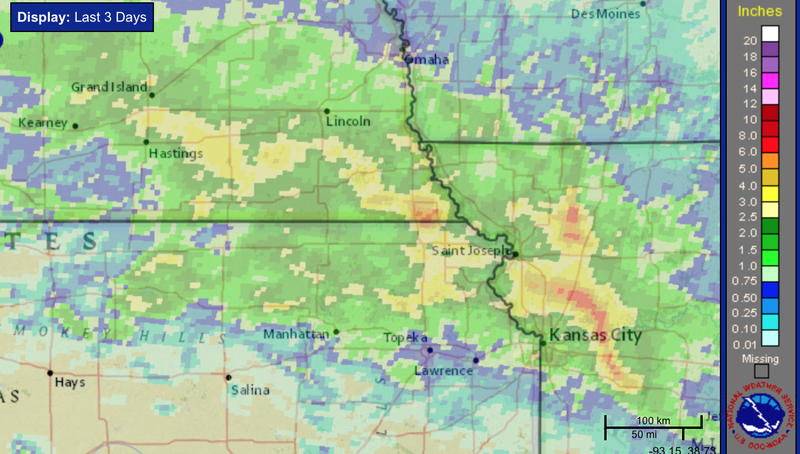 The deep blue area between I-80 and I-70 to east of Kansas City is at high risk of flash flooding if heavy rains develop. There are no thunderstorms in progress in the area outlined except in southeast Nebraska (see posting below). If they develop, they will develop rapidly. Note that I do not always include preparation suggestions because the risk often does not justify the effort. In this case, the risk is worth the effort of taking these precautions. Put your car in the garage and bring in anything that can be damaged by large hail or blown about by high winds (trampolines, lawn furniture, etc.). Make sure you can reach your dependents quickly and they can get to shelter quickly. If you live near a small stream or creek that historically floods, pack a "go kit" -- essentials you would want if you have to make a quick dash to higher ground. Whatever you do, do not try to cross flooded areas by foot or by car. 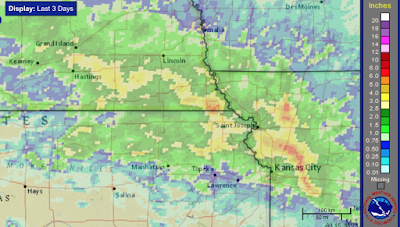 The yellow or red areas, 2.5 inches or more in the last couple of days, are at special risk of flash flooding. A flash flood watch is already in effect for the green areas below. Magenta is a flash flood warning still in effect from earlier storms.